Children, mostly girls, used to collect stationery back then as a hobby. They would keep this in an airtight container where moist won’t be able to get in to preserve its quality. Some girls don’t even want to use these stationery for writing—they simply want to keep them in a collection, nothing else. There are only rare instances when male children did this as a hobby. But if ever they did, the design on the stationery will most likely be appropriate for their gender. 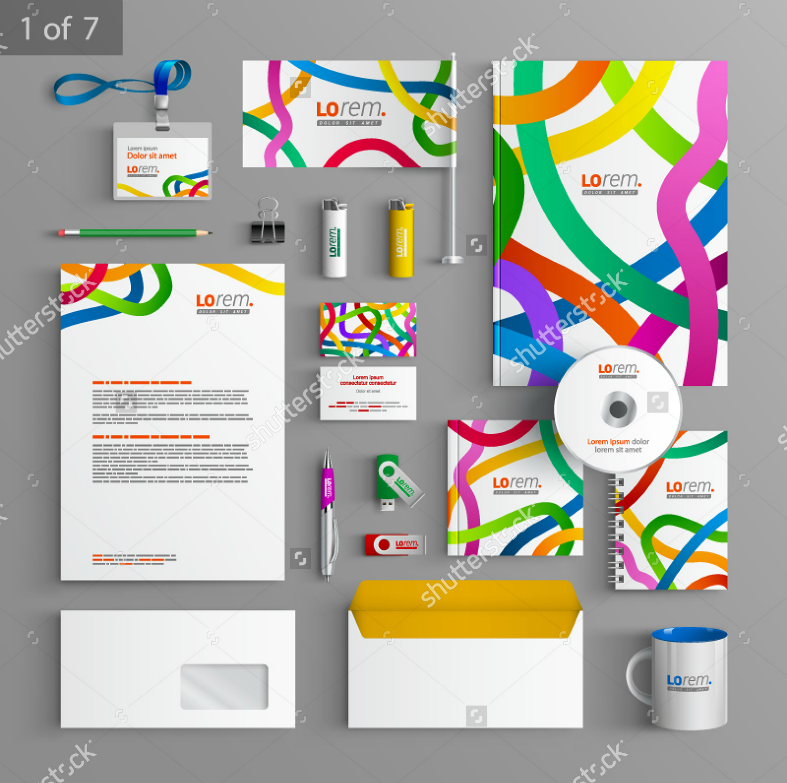 Aside from those collectibles, there are also stationery that are used for and by businesses to create uniformity in all their documents and document-related accessories. On this website, we have an entire collection of stationery designs to choose from. These designs range from those used professionally to those that can be used for collection purposes only. 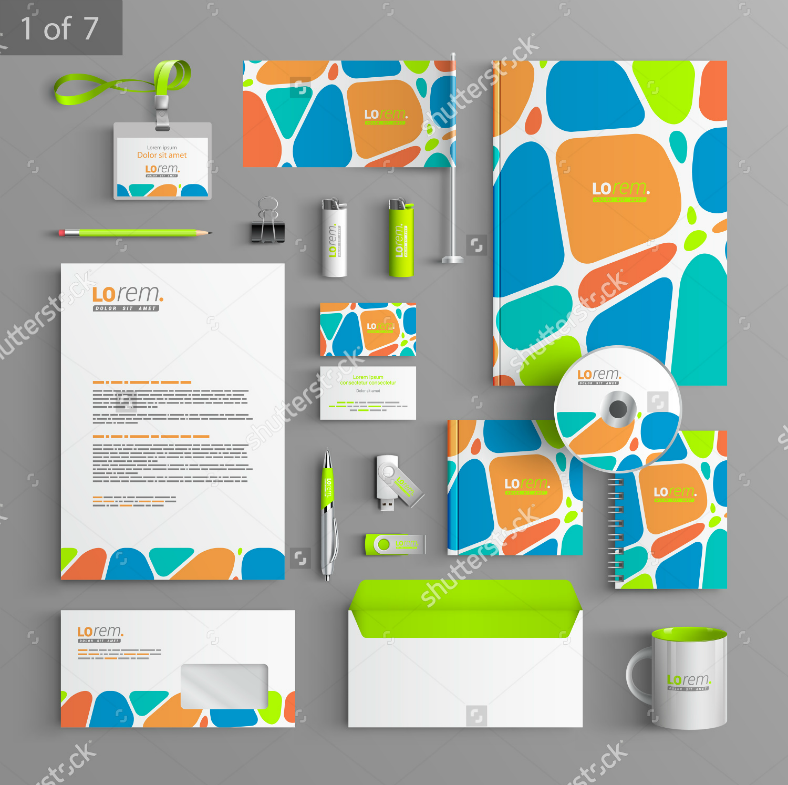 For as low as $9.00, download this stationery design and not only get the folder cover and the letterhead designs, but also the envelope and the business card designs. This is a total bargain! You are actually getting a total of six designs for a price of one. 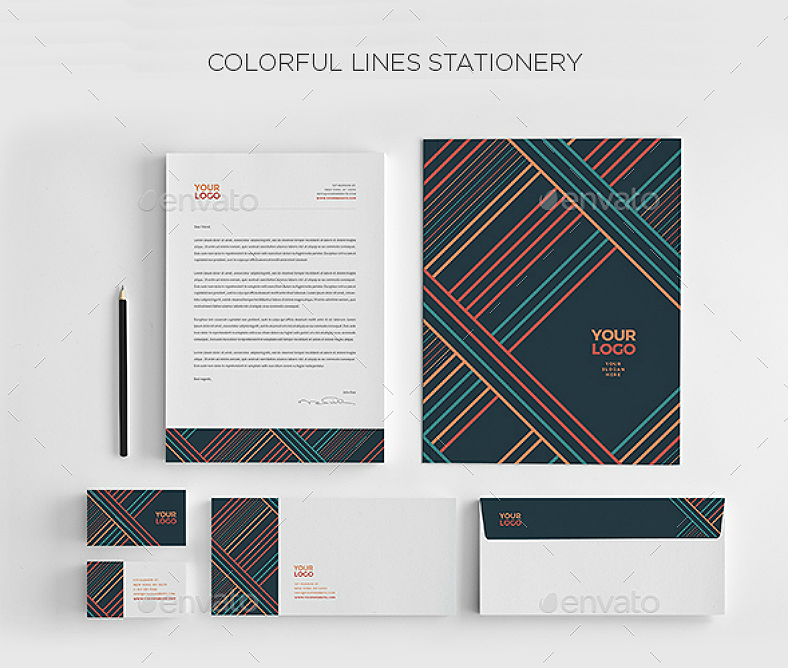 So if colorful parallel lines are your preference, then download this set of designs. If you enjoy looking at patterns of circles, squares and rhombus shapes in blue and red colors, then this may just be the design for you. While you may think that this pattern of different shapes and colors may appear cluttered, it actually is clean and organized as evidenced by a visual example above. 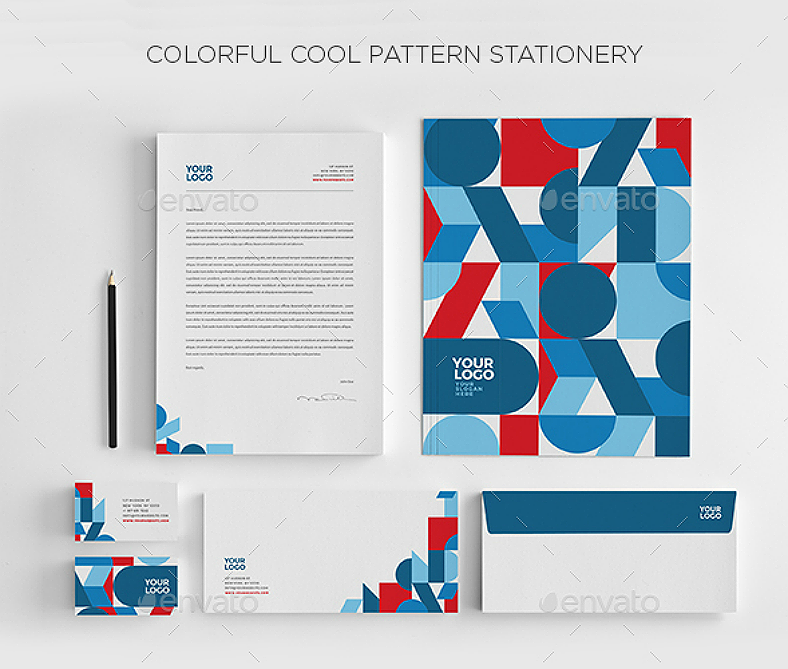 Similar to the previous three stationery designs, this one covers not only the letterhead design but also business cards and envelopes which can all be yours for a low price of $9.00. However, these designs don’t have specific shapes on them, but have abstract polygons in various sizes and colors which give the illusion of a glass texture design. 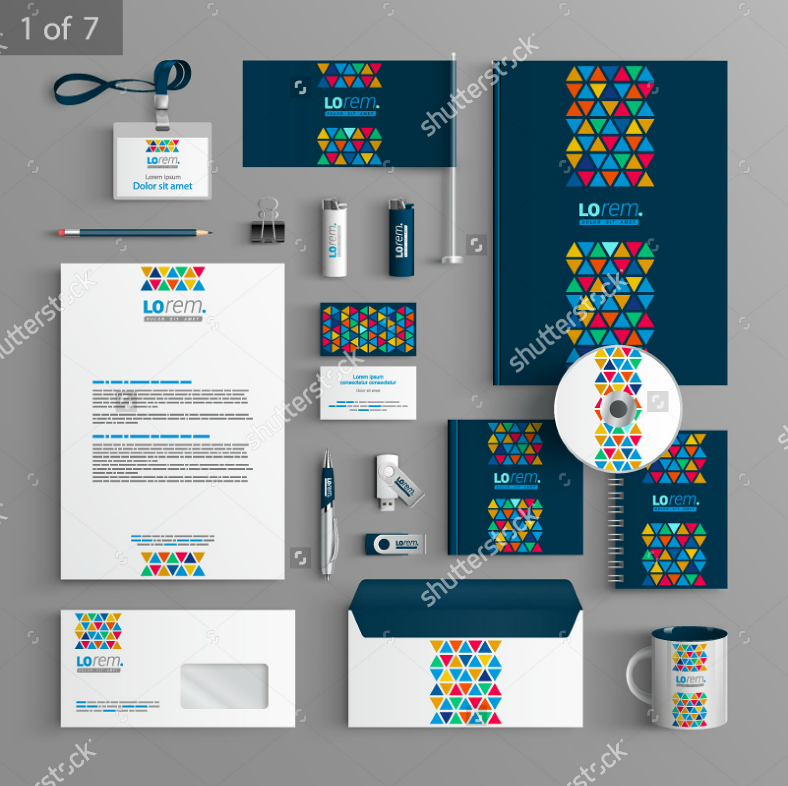 This creative stationery design provides a lot more than what you actually pay for since it also includes designs for non-stationery materials for the design such as mugs, CD labels, flash disks, and lighters. These designs bear a uniform pattern of seven-rowed triangles in different colors that are mostly found on the middle of the design (except for the envelope which is found on the top-left corner). People of all ages enjoy doodling. It encourages them to make use of their creativity in expressing themselves through art. 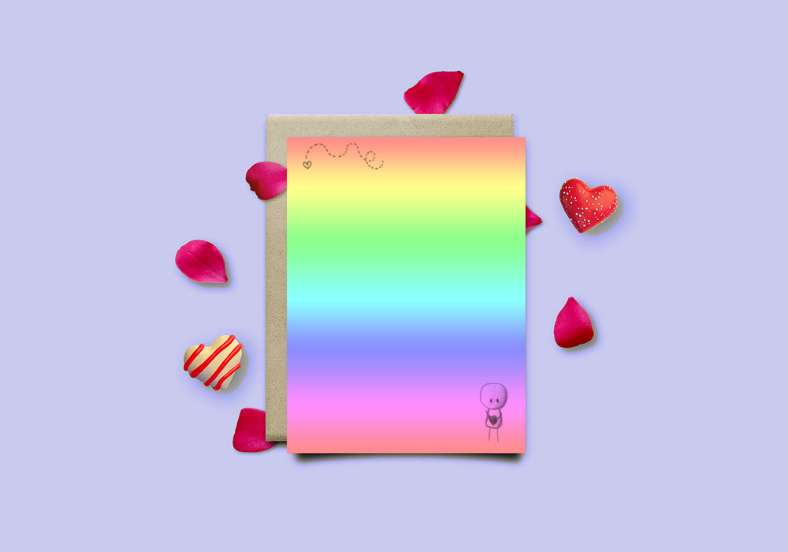 With these stationery designs, it bears a colorful doodle pattern which makes the material appear positive and joyful, uplifting even the lowest of moods. For an encouraging stationery design, download this one. People often believe that the circle symbolizes wholeness and infinity. 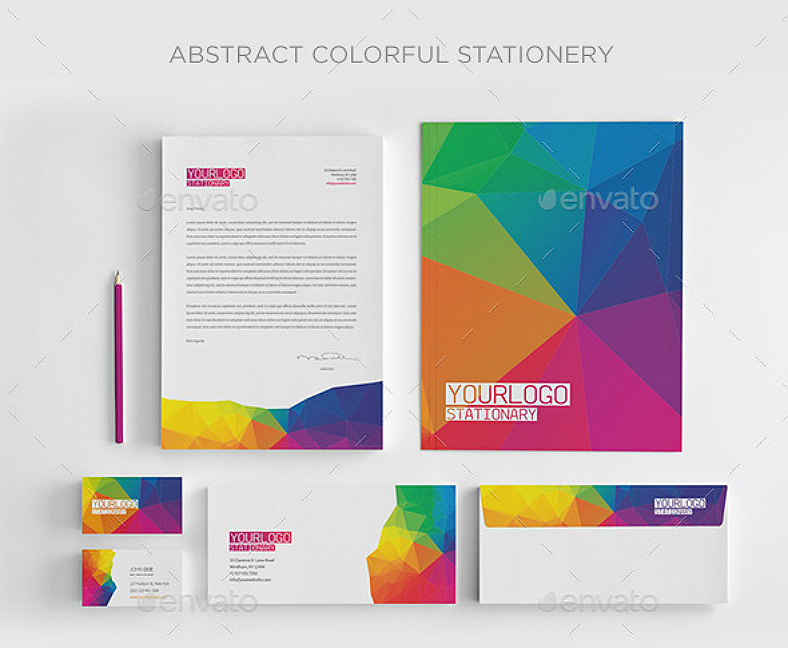 If you believe in the symbolism, then we strongly suggest you download this stationery design. 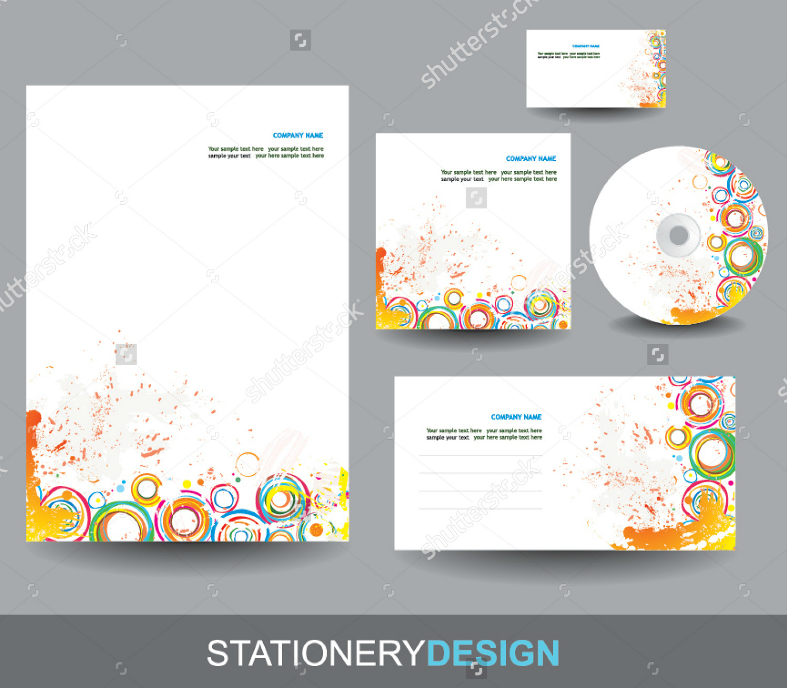 This design contains circles of varying sizes and colors and can be printed not only on regular-sized paper, but also in CD’s and its respective casing and as mailing envelope designs. Flowers never fail to attract people, even those who are not entirely into them. 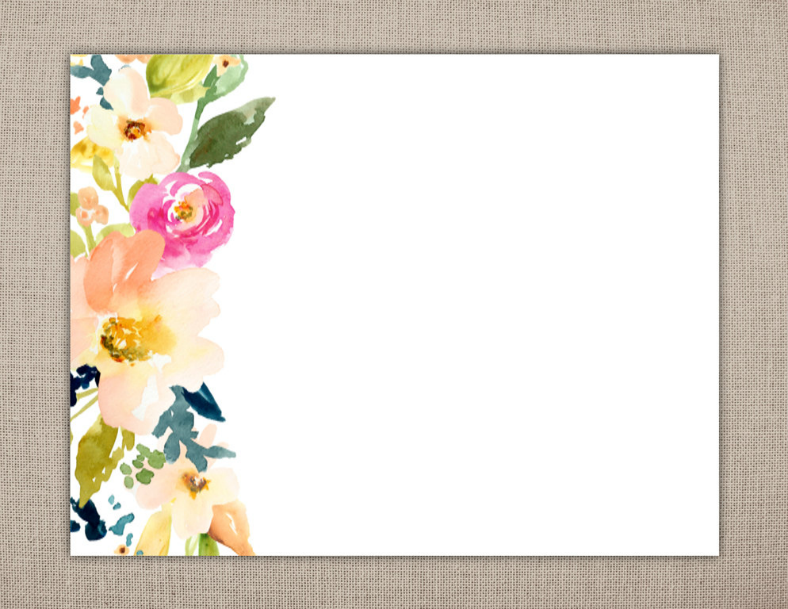 Why not make your stationery look attractive by adding a floral design into it? If having a floral design isn’t enough to make it creative, these flowers also give us the illusion of being painted through watercolor. This stationery is very artistic, that you would rather want to keep it as a collection rather than write on it. Whether you are taking down relevant notes in school, writing a love letter for your special someone, or documenting the status of your business, the stationery designs above can be used for various writing purposes. When using these, just make sure to use the design that fits appropriately to its use. You wouldn’t want to use a rainbow-themed stationery for writing down reports in a formal business. 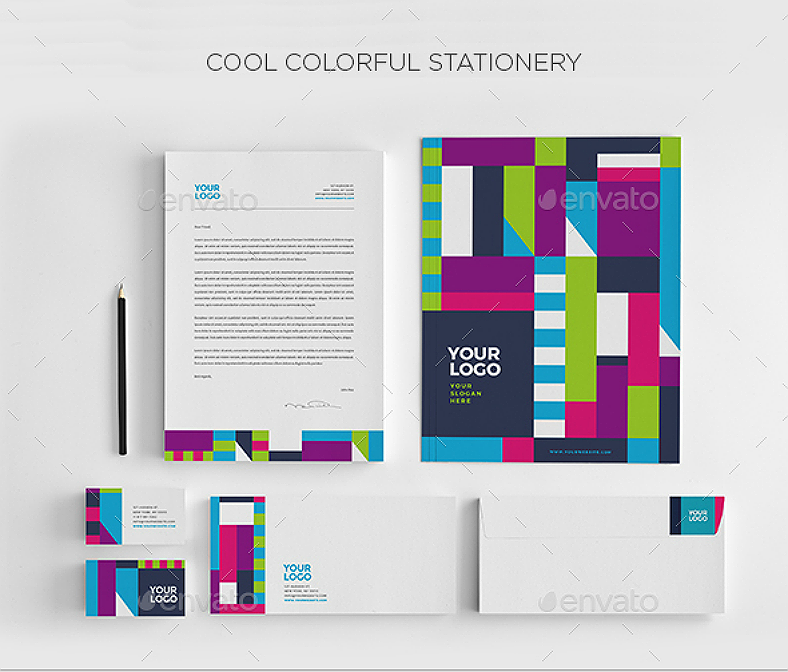 These stationery designs prove very useful for personal or business use. Make them yours by clicking on the download button and paying the fee. You may no longer be required to do some editing with these designs and just have them printed right away, but you can still customize them if you wish. So what’s keep you from clicking that button? Start downloading your own stationery design now.